J & G Heating & Air Conditioning, Inc. is proud to serve the Mount Joy community! 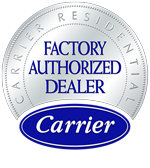 About Mount Joy, PA - Happy to be your hometown Heating & Air Conditioning Contractor! Mount Joy is a Lancaster County borough in Pennsylvania, and as of 2010 the community population was approaching 7,500. This community is also included on lists of Pennsylvania Dutchland’s most delightfully named towns along with Lititz, Blue Ball, Paradise, and Bird-in-Hand. 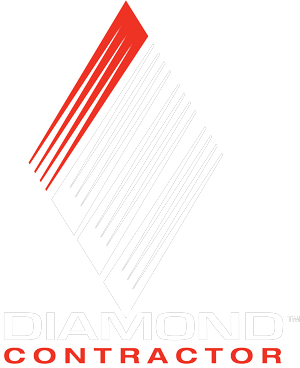 The community consists of 2.3 square miles of total area and is elevated 371 feet above sea level. Mount Joy is located about 28 miles southeast of Harrisburg and 88 miles northwest of Philadelphia. Despite the modest size of Mount Joy, there are several unique things to do in this borough. Bube’s Brewery is a great destination to try out some local beers and to get a delicious meal. 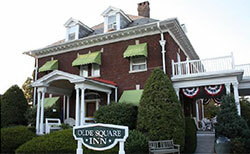 Many visitors enjoy staying at some of the historic lodging accommodations, including the Cameron Estate Inn & Restaurant Lancaster Bed and Breakfast and the Old Square Inn. Hunting and fishing fans will often need to check out Kinsey’s Outdoors, while special events are held at the Acorn Farms Reception and Conference Center. Outdoor recreation is also popular in this community, and visitors often enjoy picnicking, hiking, or biking at Rotary Park, Cove Outlook Park, and Little Chiques Park. Located within a humid continental climate zone, Mount Joy residents enjoy four unique seasons throughout the course of the year. Spring and fall months are usually unpredictable, and summers are hot with average temperatures in the mid-70s. It is not uncommon for temperatures to exceed 90 degrees a few days each season, so homeowners rely on their air conditioner to get them through these steamy months. On the other hand, winters are cold and snowy, and the area receives over 40 inches of snow each season. Residents need to use their home heating system to keep their living quarters comfortable while also preventing their plumbing and pipes from freezing.